The MJF Sithijaya Centre in Ambalantota recommenced its operational activities with a new management team headed by the Divisional Secretary Ambalantota on 12 February 2014. 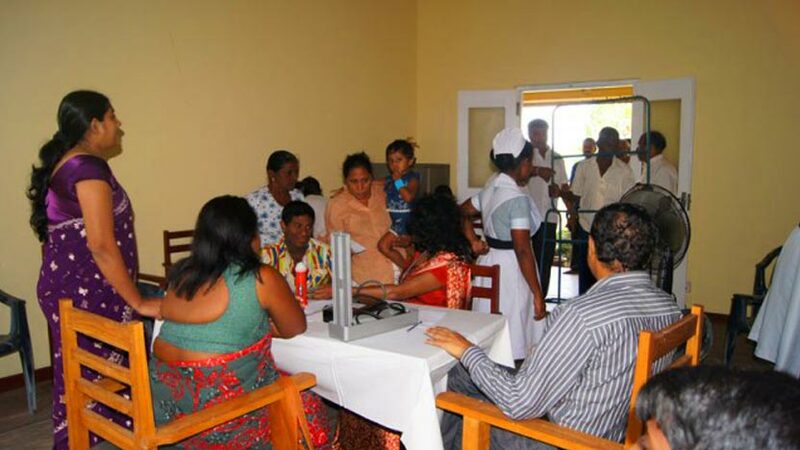 47 children were enrolled at the centre and a team of medical experts including the Consultant Physician and Consultant Pediatric and Physiotherapists attached to the Hambantota Government hospital conducted a medical screening of all children and provided each child with a medical record file. Addressing the parents of the children who were enrolled, the Divisional Secretary H. Thilekawardena paid tribute to the MJF Founder, Merrill J. Fernando, and the MJF Charitable Foundation (MJFCF) for their efforts in facilitating the re commencement of this centre for the benefit of all its children. He also regretted the temporary closure of the Centre for more than 1 ½ years, but reassured the audience that his team will strive to ensure that this centre the most sought after facility for the care and empowerment of all children with disabilities in Ambalantota. He also requested the continuous support and patronage of the MJFCF and the support and co-operation of the new team and parents. Most of the parents were those associated with the centre until its temporary closure and were very enthusiastic and whole heartedly welcomed its recommencement. 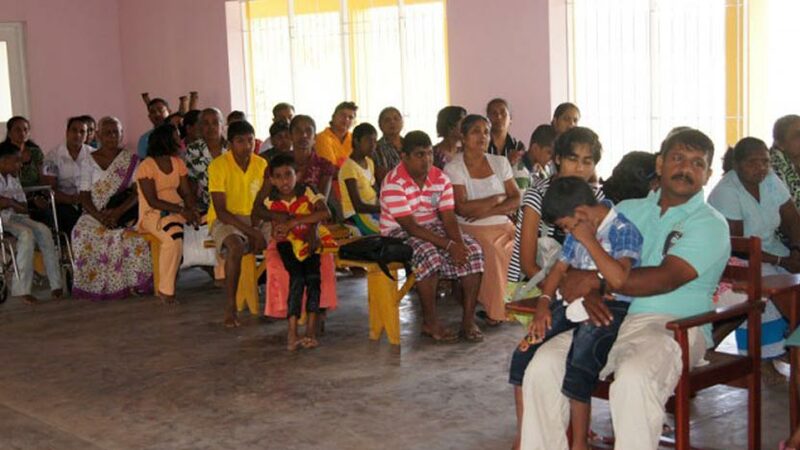 Sisirakumara who is attached to the Nonagama Police and his wife Chandrika brought their eight year old son for enrollment. Both parents were happy to see the reopening of the centre as their son was a previous student at the institution and will once again benefit from its operation. A common view expressed by most parents was the need to introduce transportation arrangements, as was done previously, in order to pick up from and drop children home. This was mainly due to the difficulty in bringing differently-abled children to the centre using public transportation. 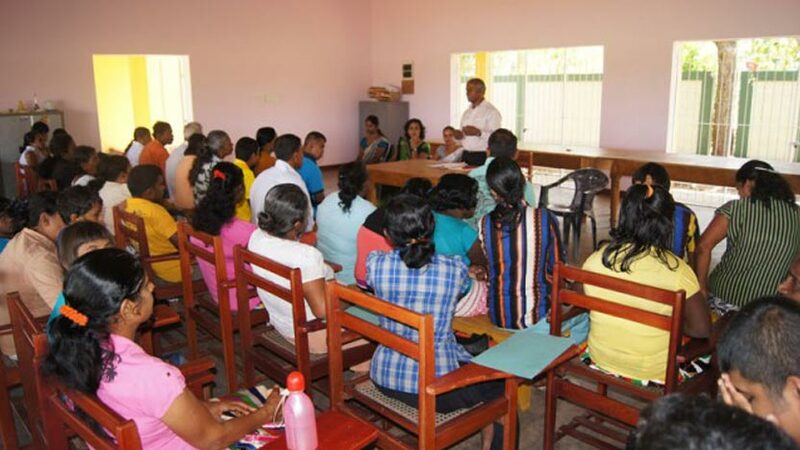 MJFCF invited the new team to pay an early visit to its Moratuwa Centre so that the new staff team at Sithijaya could directly view its day to day activities and operational systems that could be gradually replicated at Sithijaya.